One of my favorite things at work is unpredictable overlap. The very first time I understood how this could work was way back in 2011 not long after I started this blog, in a post about something completely insignificant–the decorative ironwork in the background of a picture of President Houston–that turned out to be quite important to how I do my work. It’s been labeled on the back, “Mercogliano, Italy. 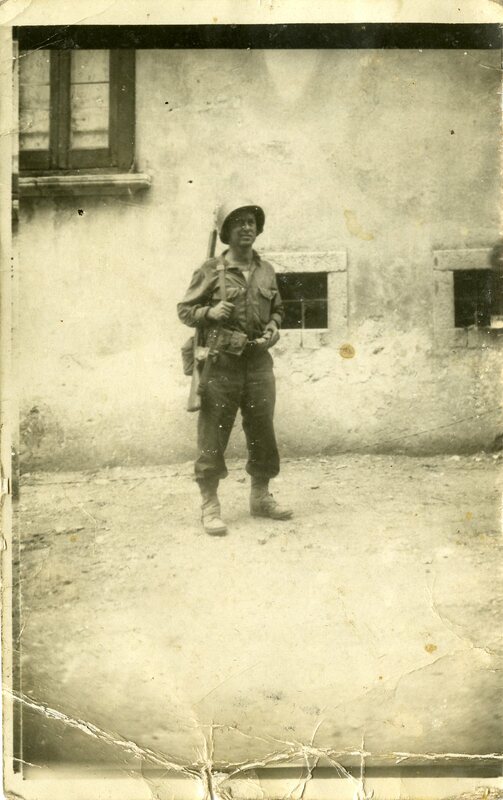 October 3, 1943.” That was some very hard fighting. And here is a recent Rice News story about our brand new Houston Area Jewish Archive. 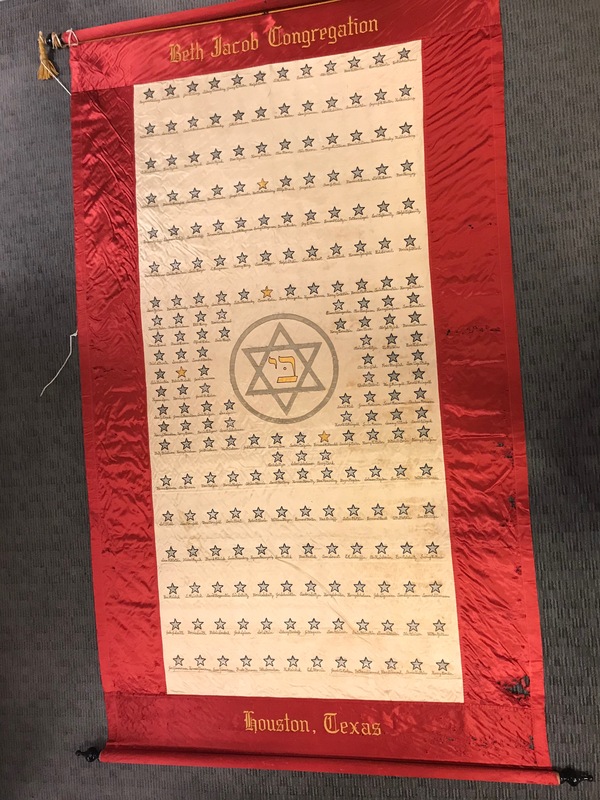 Take a look at it and you’ll see the most spectacular thing that has arrived so far, a gorgeous 9-foot long silk service banner listing the names of over 200 Congregation Beth Jacob members who served in World War II. 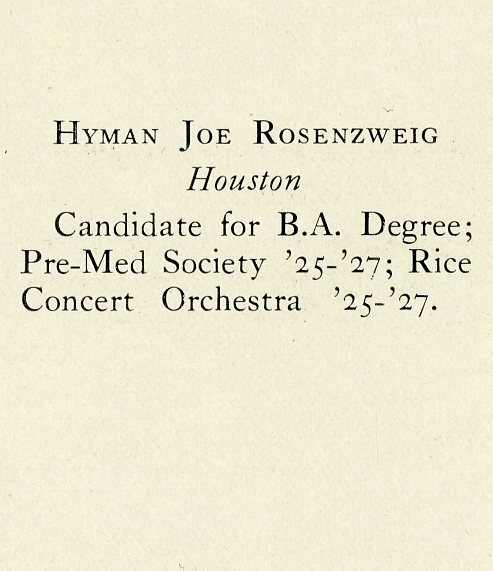 Need I tell you that there’s a star for Hyman Rosenzweig on it? What instrument did he play? I tried but wasn’t able to figure it out. Got it! He played the violin. That banner follows the pattern of a service flag, a vertical white rectangle with a broad red border. It is usually displayed by a family with a blue star for each serving family member and a gold star for deceased members. That is an exquisite banner, with all the names hand-embroidered. 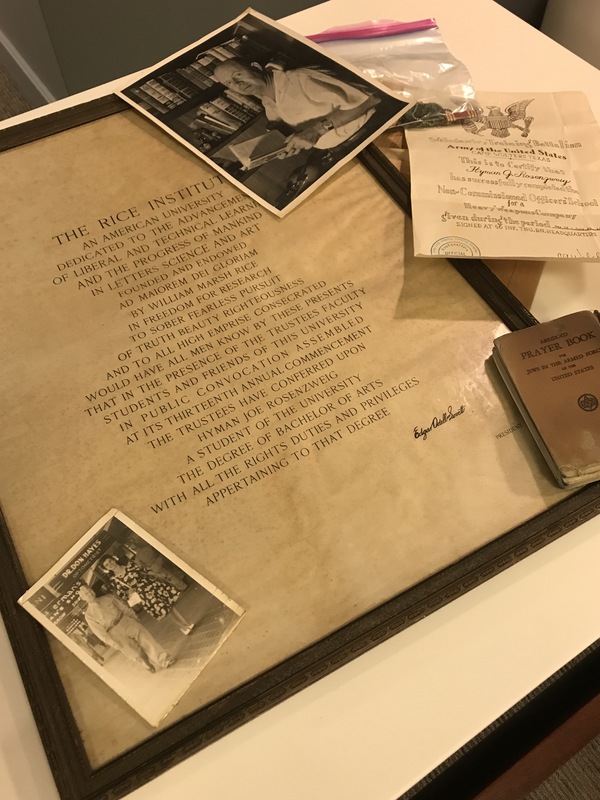 That 1928 diploma looks just like mine (except for the student’s name, the signature, and the line about the thirteenth annual commencement), which was awarded in 1960, the last year degrees were conferred by The Rice Institute. Do you know when that design originated? Perhaps in 1916? Also, did Hyman survive the war? He would have been in his 30s in 1943. Yes, he did survive the war. He died young, though, in 1952 if I remember correctly, in Shreveport, Louisiana. 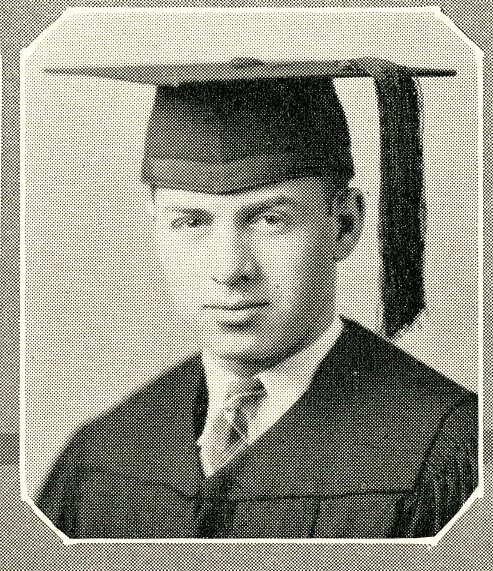 Dr. Lovett himself designed the original diploma for the first commencement. He was pre-med. Did he become a doctor?